Things come and go so quickly these days. It seems like fashions and trends are only in the public focus for a few months at a time before they vanish and quickly become uncool. As a result, our lives are so quick to change and what is normal right now might look very different to the normality of a decade or two ago. That means that you will no doubt notice that the certain parenting rules and guides that your parents swore by when they were bringing you up might no longer apply these days to your own kids. In fact, trying to keep up to date with all of the current parenting guidance and best practices can be a minefield. Even parents who have teenagers and have been parenting for quite some time can feel a bit overwhelmed with what they are supposed to do. As a result, it is really critical that you try and keep up with the changing world and become a modern parent who is able to deal with all of the trials and tribulations that the modern world brings to your children. Only then will you be able to keep them as safe and secure as possible. Using Talkspace is a great option also! Ready to change your parenting style for the better? Here are the new parenting rules for 21st-century parents. Hopefully, they will help you improve your parenting skills so that you are ready to take on this changing modern world. Lots of parents try and restrict their young children’s use of technology. It might be easy enough to keep it away from toddlers, but there is going to be a point (often a lot sooner than expected) when you are going to have to give in and let your kids use your devices. In fact, some parents are happy to let their young children get used to smartphones and tablet devices as it can teach them some key tech skills that they might need later on in their life. However, when you do have over all of this tech, you should always take advantage of the parental controls that are available to make sure your kids aren’t exposed to any age-inappropriate content. Lots of broadband suppliers, such as i3 Broadband now offer family-friendly packages that make it easy to control what your kids see and what they are kept away from. Once you have your parental controls locked down, you will find that you can leave your kids to browse the internet and play games without too much to worry about. Whenever your child needs to set up an account online for whatever reason – maybe it is to play a game, for instance – you should always be there when they do this. It is also necessary that you set their passwords for them. That way, you will always have access to their account and so can keep an eye on their online activity. You might be worried that this could count as an invasion of privacy, but that really isn’t the case. After all, it is a lot better to double check on what they get up to online when you aren’t watching to make sure that they are safe and protected from any pedophiles and cyberbullying. Just remember that once they start to get older, you will need to step away and let them create their own passwords so that they know you trust them. But while they are still under ten-years-old, it’s always necessary to track their passwords. It is always important that parents and their children’s schools communicate well with one another. This ensures that both parties are well aware of any issues that the child may be going through at home and in the classroom. Not only that, though, but this also gives you a chance to find out all about the school rules regarding technology. Not every school may be happy about their pupils taking smartphones in with them. If this is the case, you need to be aware so that you can stop your child taking any prohibited tech in with them. It’s also a good idea to find out what your child has been learning in their IT lessons so that you can reinforce these lessons at home when they use tech and computers at home. Children always learn best through example. So, it is always necessary for you and your partner to be shining examples in everything that you do that your children see. That way, they will find it a lot easier to pick up good habits from the both of you. This also counts when it comes to all things tech as well. One great thing that all parents need to start doing is to step away from their social media accounts. If your kids grow up to see you attached to your Facebook or Twitter apps on your phone, then they will think that this is an incredibly normal thing to do. They will then pick up this habit and grow up addicted to social media. So, be sure to put your smartphone away when you are around your kids. Not only does this prevent them getting into any bad habits themselves, but it also helps you focus your attention on them so that you can spend some quality time together as a family. Right now there is a big debate raging about whether it is ethical or not to post photos of your children online on the likes of Facebook and Instagram. There is a growing group of people who argue that it is never ok to do so as it is impossible to get informed consent from children who are under the legal age. After all, they might end up embarrassed when they get older by some of the pictures that were circulated of them online. Some parents also prevent their children’s pictures from being posted anywhere online to prevent any privacy risks or their image being stolen in identity theft. So, you need to really think carefully about how you handle your photographs of your kids and whether or not you post them online. There is probably no wonder that many parents really worry about the effects of technology on their children. Not only can heavy use of tech become quite addictive, but it can also pose a danger from external threats, such as hackers, criminals, and sexual predators. There is one easy way around this, though – just don’t leave your children alone with any technology. You should always supervise children who are under ten years of age when they are using any devices or computers. Pre-teens and young teenagers should also be carefully monitored, though it is not necessary to watch over their shoulder at all times. After all, you need to start giving them some space so that they can learn about being responsible tech users on their own. For some parents, on-demand TV channels are an absolute godsend. That’s because they can put on an episode of Peppa Pig whenever their kids want to watch it – it’s no longer necessary to wait until the show is scheduled to be on TV and you also don’t need to spend a lot of money to buy the DVDs. However, even it’s important that you don’t introduce on-demand TV to your kids while they are still very young. Otherwise, they might simply end up demanding the TV all the time! This could be very stressful for you as they might start to throw a tantrum when you say now. So, it’s a good idea to wait until your kids are old enough to understand that they can’t watch TV all day every day. That way, your on-demand TV won’t become such a burden. We all know about Dr. Google and I daresay that a few of you might have even used him to look up some of your own symptoms at times when you have been under the weather. However, it is really important that you don’t do a Google search for any symptoms that your child starts to show. This will only cause you to panic a lot when there might not be anything to worry about. So, instead of heading over to Google at the first sign of a child’s illness, you should instead simply book an appointment with your family doctor. They will examine your child and be able to prescribe any necessary medication and treatment. That way, you won’t have to worry about using Google to misdiagnose your child. So, remember – when in doubt, you should always go straight to your family doctor. Hopefully, all of these rules for 21st-century parents will help you bring up your children into responsible and respectful adults. Good luck! If you have kids in college or are perhaps heading to college yourself, then you’ll know just how much it can cost. 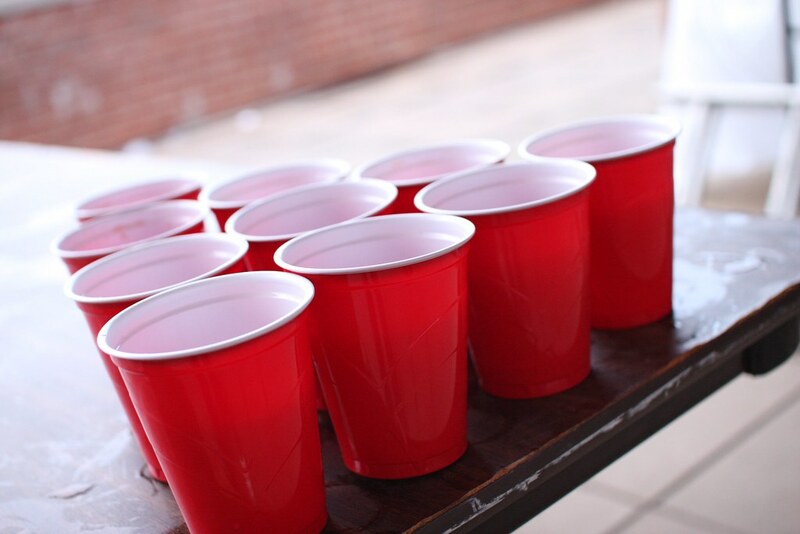 Even if we were to put the tuition fees to one side, the costs quickly mount up and can spiral out of control when it comes to the social life of a student. When you look at the cost of rent, living expenses, travel costs and so on it can really mount up. Indeed, the prospect of sending kids to college can be an uphill struggle for many families financially which is why this article looks at a number of ways for students can make an extra income while at a college or in preparation for the college years. If you’re looking for a more frugal way to provide a decent college education, the majority of major universities are now offering distance learning opportunities; and online courses aren’t limited to basic vocational training, today you can do advanced courses like an online bba program that offer huge savings in terms of fees plus living costs. In any event, it’s always good for teenagers to earn some extra income to help fund their studies and lifestyle, so here are five simple ideas to provide some food for thought. A quite enjoyable way to make money is to treasure hunt around thrift stores and yard sales, looking for items that you know have a strong desire on eBay. Often, people aren’t aware of the value that’s in amongst the vats of items in thrift stores and with a bit of careful research and rummaging around boxes, you can find some incredible high-profit deals. Lots of people have items that are “free to a good home”, presuming you have the means and manpower to come and pick them up. You could simply use eBay, but If you match this with people putting requests in the ‘want to buy’ sections of newspapers and online listings, such as Craigslist this will be the most efficient and reliable way to ensure you are gathering items that you can sell on; after-all, you don’t want to have to rent out a storage unit just to put things nobody wants in storage. There’s a limit to how much you can make doing this, as there is a restriction to how many times a week you can attend, but typically your time investment would be around three hours per week in order to make $250 to $350 per month. Understandably, this isn’t everyone’s cup of tea but it’s a rewarding way to make money on the basis your blood plasma is necessary to help fuel life-saving operations. In the summer months, if you charge $25 per lawn, and mow ten lawns a week (basically a weekend’s work) you’ll make $250 per week – that’s a $1,000 per month… and the best part of this is that once you get regular customers, you can build up a monthly ‘round’ of appointments that generate a reliable stream of income; and doesn’t require you constantly getting new customers. Babysitting can be easy money. If you’re lucky, the kids will be asleep most the time, and you’ll get free time in someone’s home to study or earn even more income by, as an example, being paid to browse websites or answer online questionnaires. There are countless reasons why taking a new course would be great for you. Perhaps you want a career change, and what a way to learn about a new sector, or get some hands on experience in it before applying for other jobs. Perhaps, you want to take a course but don’t want to have to travel to the nearest university to do it. Or, maybe you have family to care for, and other commitments that mean you have to be present. There are so many reason why people take courses, especially online ones. There are many kinds of courses you can take online, and they probably vary a lot more than you would think. Because classrooms don’t have to be filled up to run, this means you probably have a better of getting on exactly the course you want. There are many differences and countless benefits to taking online classes, and you never know they might just be for you. Read on to see if online education could benefit you, and if you are the perfect fit for studying online. Going to university on campus can a lot of benefits for young people, and older people alike. Getting to interact with classmates, and being able to live the typical sociabe student lifestyle is what interests many people. For others, however, this side of education might seem like a bit of a burden, in which case, online classes would be great for you. If going out to clubs, drinking, and committing to the social life on university is not why you are going, then online courses would be best for you. Without this added distraction many people feel more focused and work better without the added pressures of commitments. There are various pros and cons to traditional or online courses, and if your not interested in the extra commitments of campus based learning, learning online would be great for you. Enrolling on courses is a huge commitment, and often means spending a lot of time and money on it. This can very off putting for many people that have other commitments on their life which they need to give time and energy to. Perhaps you are caring for a parent, or you have young children to look after, and these kinds of priorities have to come first for you. Online courses are much more flexible than traditional campus based education, so they can work around you. This means that you don’t have to move your whole life closer to the university. You can also still have time to work, or your family. Check out courses like online rn msn that could work for you. Online courses are much more flexible so you can learn whenever you want to as well. Maybe you work in the daytime, and want to learn at night. Or perhaps you want to be able to drop the kids off at school before you settle down to to study, or you want something to fit round your current job. Whatever your reasoning, online courses are flexible, and ideal if you don’t want to commit your whole life to studying and drop everything else. What you want to study and where you want to study can vastly affect how much it will cost for you to study. With traditional campus based learning paying for accommodation, transport, and for food while you are there can all add up. This can make this option just too expensive for many people. All these extra costs can add up and make studying very expensive which puts a lot of people off. With online courses you end up saving a lot more than you would compared to campus based education. For starters, not having to travel to learn. If you learn from home you don’t need to pay for petrol, the bus, or get public transport at strange hours to try and be there for each class. Depending on contact hours, you might be learning every day, or only a couple of days a week. Each time you work from home you are saving the money you would normally spend on getting to campus. Not having to travel multiple times a week can save you a lot. Tuition is usually a lot cheaper for online courses as well. Because you don’t have to be present each day at university, using classrooms and other resources the campus has, you cost a lot less. This means that tuition for online courses, because you are not costing the university as much. Because tuition is cheaper for these kinds of courses, it makes it a lot more accessible to people, and many people choose to study online because of this reason. Many courses are restricted from running because they need a certain amount of students to do so. On the other hand, if it is a popular course, it might be difficult to get into that class, as there might be limited places. With online courses, however, this is much less of an issue. As many or as little people can take courses, no matter if they are popular or not. This also means that online course have a lot more variety than perhaps you might find at your local university. Don’t be put off by your course is really popular, or if it isn’t popular at all. When you study online, there is enough room in the classroom for everyone. There are loads of great reasons to study, especially online, and it could be for you. If you identify with a lot of the points on this blog you might want to consider researching online courses, as it might be great for you. If you have other commitments, or want to save money rather than spend it when studying, then this could be a great option for you. Have a look at online courses today, and see if any of them interest you. It can get to a point in life where you have been in the same job for a while and have got everything you can out of it. And so you become stuck in a rut where the only thing that is making you walk through the door every day is the fact that bills need to get paid. But what is really stopping you from trying something new? Maybe there’s a new area, connected to the job you already do that you can move into, or perhaps it’s just the company you work for. Maybe you need a whole new career path and begin again. However you go about shaking things up, you need to make sure your resume is up to scratch. It’s a good idea to keep your resume up to date regardless of whether you’re looking for a new job or not. Even if it’s just a note stating the day you started your role, dates if any promotions, and the extra responsibilities or training you have received. That way there’s no guesswork, and you won’t miss anything out. But it’s not just your employment history you need to modify; look at your cell number, home and email address – are they correct? Have your objectives and hobbies changed since you last edited your resume? And, if you do include an image, is it a recent one? Your resume is an outward statement of who you are now and not who you were five years ago. To give your resume a boost, and to provide you with an excellent hobby that has nothing to do with work, consider volunteering. There are a whole range of things that you can do that might or might not link in with your chosen career path. Volunteering on its own shows a willingness to go beyond the basics, to spend your time helping others. It can show leadership, initiative, teamwork, and care. Which all goes a long way with an employer. If you are looking for a promotion, perhaps your volunteering invokes getting involved in new projects and spending some of your time working on them. If you’re looking to move into zoo keeping, for example, volunteering with animals at a shelter, vets or farm will work in your favour. If you have plenty of experience in the area you’re moving into, then you shouldn’t really need any more qualifications. If you do, it will quite often be something the company offers to provide. If you’re looking elsewhere, then you might need to look at adding to your education. If you want to move into public service, then doing an online criminology BA would work wonders. As would a degree in social care if you’re going to move into social services. Quite often you can find that future employers are happy to allow you to study alongside your new job, so never think that you can’t apply for something just because you haven’t finished studying. You might get lucky and have them offer to pay for your course – who knows? If you have worked with money, you can add ‘money management’ to the list, if you have led a team then add ‘team leader’. They might sound simple, but a list of viable skills such as these gives any potential employer a good insight into how you work. You should also rank your skills according to what you feel is more important to the role you’re applying for. A job as a manager would need leadership and organizing right at the top, for example. If you have any critical skills with computer programs, add them to your list. And not all of your skills need to be work-related; adding that you play the violin to the list shows perseverance, hard work and that you have a hobby. Sometimes you can take a moment to look at your life and be baffled by how you ended up where you are. This can be a positive thing or a negative thing. If your alarm clock going off in the morning fills your heart with dread and you have to talk yourself into getting up; if you spend your days counting down the minutes till you get to go home; if you spend your Sunday afternoon getting steadily more unhappy because you have to get back to work in the morning, it might be time for a change. But what do you do? You know you don’t want to stay where you are, but you don’t know what to do instead, and committing to something new is a scary decision to make. Below are just three of the many options you have when it comes to making a drastic career change. The first and easiest path to a new career is to ask yourself a simple question: What am I good at? Grab a pen and make a list. What do you enjoy doing and what areas do you excel in? It might be something completely irrelevant – like you’ve always enjoyed painting – but put it on the list anyway. Once you’ve got that list, see what jobs there are that fit with those skills and attributes. You may be surprised what careers could be a good fit for you. If working from home seems like a good fit for you, you could look into the many opportunities available to earn an income without having to deal with the daily rush hour commute. You could start a blog, become a realtor, work as a solo recruitment consultant, or write professional reviews for products. You could even set up your own online business if you have a product or service that could be of use to people. Many companies will pay individuals to manage their online presence on social media, responding to queries and complaints in a timely and professional manner. The possibilities are endless, and you can do them all in your pyjamas if you really wanted to. If being your own boss doesn’t sound appealing to you, and you have an interest but lack the necessary qualifications, it may be time to go back to school. Not literally, but in the evenings using a distance learning course. There are a huge range of courses available, so whatever your interest or aspiration, you will be able to become highly qualified and employable in it. Even if you’re still not entirely sure what new career you want to take, there are subjects which will open many avenues. If you can master lean manufacturing, for instance, many companies, in a wide variety of fields, would be interested in employing you. Hopefully, these tips will help you to fight your way out of your career rut, and settle into something a little more in keeping with your interests and aspirations. It’s never too late to do what you love; you just have to be brave enough to take that first leap. Having a large family makes it hard to plan an event we can all attend much less trying to find something to eat. Of course, when the family finally gets a chance to come together you will want to make everyone happy and their food preferences satisfied as in leaving full! Selectivor is such a simpler and easier way of organizing your eating preferences, share them with others and find similar foods everyone can enjoy. I think the name is adorable because it reminds me of a “carnivore” which makes me think of dinosaurs. Very clever name picking, however, the name is just one of the many added bonuses of this product. On Selectivor you able to create your own custom eating profile! For starters, you will only fill out three short sentences. These sentences are selected from 80 physician-curated templates and almost 600 hundred foods. Which makes it easy to know what is okay and what is not to bring to the family dinner! I loved making my profile, and the fact I knew I would be filling everyone’s stomach. Another amazing thing about making your very own custom profile is the fact I am able to put it on private so only close family can view it. I love this because I do not feel exposed or as if I’m leaving anyone out when fixing my meals. For our last family reunion, Selectivor came in so handy! I am so impressed and would recommend this to anyone. I was thrilled to serve things I KNEW they would enjoy instead of having to call everyone or message them saying “Will you eat this dessert or that dessert”. This is definitely something worth trying!! This is a sponsored campaign although, this is 100% my own opinion. What Would You Do If You Inherited A Fortune? Sometimes it’s nice to sit back and daydream about what life would be like if money was no object and you could do what you will with it? Maybe getting the surprise of a lottery win or inheriting a family fortune from a long lost relative. It does happen, so it’s fine to start thinking about how you would spend it hypothetically, isn’t it? I thought it would be nice to take a moment to think of some of the ways you could put that money to good use. I’d love to hear what you would do if life changed for you. 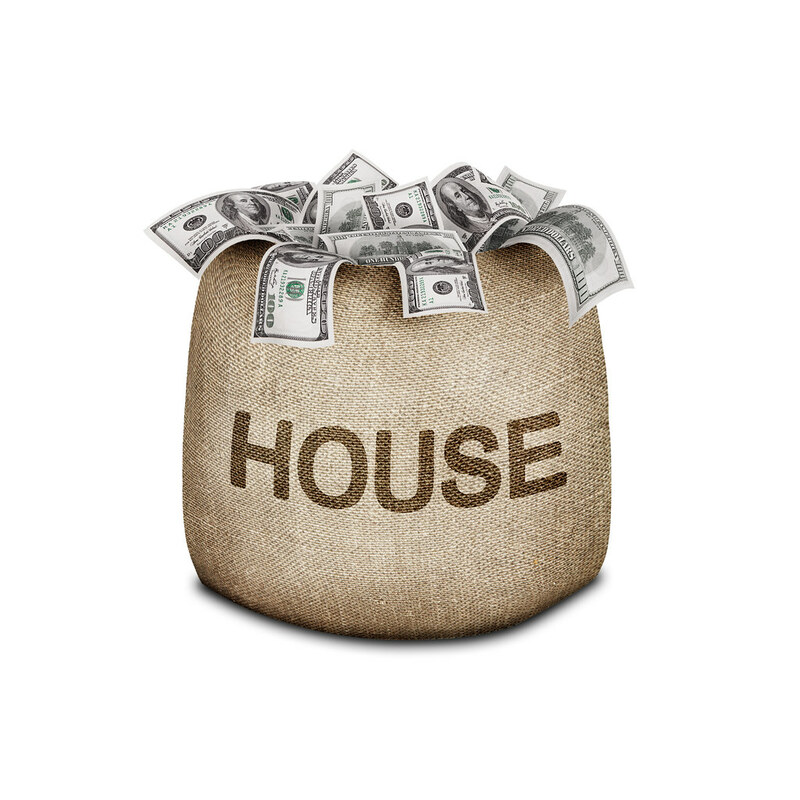 Inheriting some cash doesn’t necessarily mean you move home. You may love the street you live on and your current property, but of course, there will always have been jobs you will have wanted to do, or extensions and improvements you will have wanted to make, so why not use the money for this? Getting in touch with websites like milliondollarmakeovers.net.au could be the ideal place to start. Improving what you have means that you don’t’ have the upheaval of a new area, but still get to enjoy the finer things in life. Ne kitchens and bathrooms, a whole new set of furniture to furnish your home, it could be absolutely amazing. Perhaps you want a new place entirely, wanting to move into a bigger house or change the area you live for somewhere more upmarket, an inheritance or lottery win could give you the opportunity to do that. You could even consider a holiday home abroad somewhere. Maybe a country that you love to visit, or a place that has guaranteed good weather all year round. I think one of the first things people consider when they come into some extra money is a holiday. There may be a big long bucket list that you have full of destinations you want to see and experiences you want to have. If you don’t have a bucket list this website https://personalexcellence.co/blog/bucket-list/ has some great suggestions on how to compile one. The money you have inherited could give you the opportunity to go on an amazing holiday. Maybe even taking an extended break from work and seeing the world. Round the world cruise, anyone? Wouldn’t it be nice to not have to worry about heading to the shops and buying something new? The phrase “the credit card is going to take a beating” won’t even be necessary to you if money was suddenly no object. Of course, it isn’t always about buying things and filling you life with things, but certainly knowing you can afford things as and when you need it can be a huge weight off your shoulders. Finally, why not take a spin in the car of your dreams? Many people have a car manufacturer they would like to own, or a certain type of car, so now could be the ideal time to make that purchase? I hope that this has given you some food for thought if you find yourself in the comforting position of an inheritance or lottery win. How would you spend it? Honest To Blog! Making A Career As A Blogger Is Easier Than You Think! A lot of people find themselves fantasizing about a job where they get to have total control over everything from their working hours to where they work. Of course, for a lot of people, it doesn’t seem possible that it could ever be more than a fantasy. However, since the rise of the internet, a lot of things have changed in regards to just how much control you have over your career. One of the most significant ways in which people have been able to take control of their careers is through blogging. Blogs are becoming more and more popular and show very little sign of slowing down anytime soon. Because of that, it’s easy to want to look to blogging as a way to earn money doing something you care about. However, it can often seem like a bit of serious challenge. Make sure you promote your social media, I love the Amazon marketing agency. With that in mind, here are a few things that you can do to get a leg up on the competition and start making money as a blogger. Blogging is, first and foremost, a digital platform. Sure, things like magazines involve a lot of the same writing skills, but there are a lot of other things that you have to consider pretty carefully. Whether it’s learning more about the platform that you’re using for your blog, or taking some Microsoft Excel training classes, it’s important that you’re as computer literate as possible. Being aware of how to use these kinds of software is going to help you in everything from your accounting to promoting the blog itself. You could have the best blog on the planet, but it’s not going to matter one bit if no one knows about it. Promoting your blog and getting it out there can be one of the biggest challenges that you face as a blogger. Luckily, there are a few simple things that can help you get people reading your blog without spending huge amounts of money on a large scale marketing push. Social media is one of the very best tools in your arsenal. Being able to promote your blog for free in a way that can potentially reach millions of people all over the world is something that you simply can’t afford to ignore. Unsurprisingly, there’s one thing that is more important than just about anything else when it comes to building a career as a blogger: you have to be able to write. Now, this isn’t just a matter of making sure that your spelling and grammar are correct at all times, though that is important. The most important thing is to make your writing as engaging and dynamic as possible. Every sentence to make the reader want to move on to the next one. Ever post should take them deeper down the rabbit hole of content on your blog. If you can’t use your writing to connect directly with your readers, your blog is never going to succeed. Of course, just because you do these things doesn’t mean that you’re going to find instant blogger success. But if you’re willing to put the work in, you’re going to be able to find a career path that offers you far more freedom and control over your life than you ever expected. You don’t have to be a techie to fall in love with tech. Sometimes, we see technology as something scary, complicated, and that’s kept for the computer geeks of the world. But now that our modern world is changing, this couldn’t be any further from the truth. Technology can actually make our lives easier – in so many ways. And if you’re okay with using a smartphone and browsing social media, there’s no reason why you can’t get on board with having tech around the home. Because you can actually use some really cool pieces of technology to transform the way you use your home. First of the list, smart home technology. Now, this can seem quite futuristic to some, but it’s really very simple as the products and posts on A Connected Home show us. You can use things like remote controlled heating, lighting and even music operation to customize your home. Want to automate your garage door, set your curtains to close on a timer, or even turn your oven on to pre-heat on your way home from work? Then you’re going to want a smart home hub in your life! Another way that tech can really improve your home life, is through security. Even if you live in a safe neighborhood, you never know who’s going to be lurking about. And it’s better to be safe than sorry. With technology, you can add in CCTV cameras and check in on them on your smartphone. You could also think about setting a passcode entry system at the entrance of your house, and even use the smart home stuff mentioned above to scare intruders off too. If your family loves to watch movies together, then why not think about adding in some home theater essentials? Whether you want to add some key pieces to your living space or set up a separate home theater room that you can all relax in to watch your favorite movies, there’s the tech to make this happen. With flatscreens or projectors, you can use tech to tailor your movie watching nights to your needs. If you work at home or have the odd project to finish in the evenings, or even if your kids like to study in a set space with you, you can also use tech to transform your home office. And this doesn’t just mean your laptop and other devices. Speak to your WiFi provider and see if you can’t find a faster service, looking wireless printers and a personal server – even a music speaker system to keep you motivated too! And, of course, there’s always the cool and quirky high-tech gadgets you can add to the kitchen. From instant hot water taps and multi cooking machines to TVs in the backslash and smartphone charging countertops, you could definitely say that technology has the power to completely transform your kitchen. The kids have reached that amazing age where they are ready to go off to college. For a parent, this is what the past eighteen years have been about, so it’s okay to celebrate. But, before you pop open the champagne, it’s important to gauge your child’s money knowledge. Sure, they may be academically inclined but are they financially savvy? The ones who aren’t are going to experience a major culture shock in the next couple of years and make mistakes which last a lifetime. To paraphrase Biggie Smalls, no money, mo’ problems. Here’s how to teach your kids about the value of money before they head off to university. The times where kids had to get a job to survive are long gone. It’s easy to see why parents don’t mind this change. Who wants their kids to work 20 hours a week when they have to study? Plus, kids should have time to, well, be children. Sadly, by looking after them financially, they will never understand the value of hard work. When they go to college without the bank of mommy and daddy, their bank balance will suffer. Encouraging them to mow lawns, babysit or deliver pizzas is an excellent way to inspire a positive work ethic. Your job title says parent, but are a teacher too. Thankfully, you have an accredited degree from the University of Life to help you in your dual role. Every parent understands the finance world, or least knows more than their kids. The key is experience – you have been there, done it and purchased the t-shirt. So, pointing them in the direction of a loan service like homes.loan is a no-brainer. The same goes for teaching them about the value and dangers of a credit card. Oh, and learning how to deal with a bank never goes amiss. Of course, there will be gaps in your knowledge. After all, you won’t have experienced every situation known to humankind. But, there are ways to plug the holes, and the best one is to read. Thanks to an online ft.com subscription, it is possible to learn about the stock market as well as stocks and shares. Or, you can keep up with the latest financial news and cherry pick the best bits. The relevant thing to remember is that the more you know, the more you can pass on to your children. Plus, they can use the Financial Times as light reading material, too. The final tip is the hardest yet most important. The best thing a parent can do for the child is to let them make mistakes. Yes, there are some they can’t afford to make, but the majority act as a learning curve. Many teenagers make errors when they become financially independent, and it makes them better people. Let’s face it – no one gets burned twice. Sometimes, as a mom or dad, you have to sit back and watch them fail to help them succeed. It turns out hip-hop music has a role to play in your child’s life after all. College is one of the natural educational progressions that people make nowadays. It’s essential for getting a good chance at entering a well-known university and it’s one of the most important points of your child’s life. However, trying to get your child motivated for school can be difficult, especially when they don’t seem interested in learning new skills. It can be a troublesome time, but thankfully, there are many ways to motivate your kid to prepare for college. A great way to get your kids to stay in school is to inspire them. Whether it’s by showing them around different museums or teaching them about modern technology, there are plenty of ways to inspire your children and give them the motivation to study. A good way to motivate your children is to let them be in control of what they learn as much as possible. If your child loves space and wants to learn about astronomy, then support their decision by buying books and software related to space. If your child loves music, then give them some basic guides on how to produce music or simple piano lessons. Letting your children control their own destiny is important, so let them decide what they want to learn no matter how strange it may sound. The important thing is to not limit their decisions or force them into doing something they don’t enjoy. Thanks to many services such as Ivy Select, it’s now possible to get consulting on the options your child has for college. Maybe your child wants to get into an ivy league college because they take their studies seriously, or perhaps they want to become an actor but you don’t know what schools are good for performing arts. When possible, browse the options on the internet and look at the top schools for various fields. Work your way down the list and discuss what choices are practical from a financial perspective. Don’t forget that college tuition is expensive and the more prestigious the school is, the more expensive it’s going to be. You don’t want to give your child false dreams about getting into a well-known ivy league school, so make sure you set realistic expectations or let them know that they’ll have to work incredibly hard to make it in. Never put your children down. Whether it’s a strange topic they decided to study or poor test results, never give your child negative feedback. It’s important to support your child as best as possible by giving them as much positive encouragement you can. Try and show an interest in whatever your child is learning. For instance, if your child wants to learn how to draw, then encourage them by complimenting their drawings and convincing them to take a sketchpad with them when you’re on a family holiday. If you have an interest in the things they want to learn, then it also gives you a way to bond with your child. While the summer is still in session, it is winding down to a close. In a short space of time, the kids will be back in school and ready for the fall term. If the summer break teaches parents anything, it is the importance of school. Yes, looking after demanding children is not easy, so education institutions are a godsend. But, there is a bigger reason: keeping their minds occupied. During their time off from school, kids can lose their mental edge and this can stay with them for the rest of their adult life. Here are four more reasons why extracurricular clubs are necessary for young children. Recent figures show that childhood obesity is at an all time high. Since the 1970s, the number of children who are overweight has almost tripled. There is no doubt this is an epidemic which isn’t going to slow down anytime soon. Still, you kids don’t have to suffer from the problem as long as they eat well and get lots of exercises. With computers and modern tech, it can be hard to get them out of the house. Thankfully, after school clubs guarantee activities such as football, baseball, and badminton. Children, like the majority of people, love a routine. They like to know what they are doing and when to allow their brain to process everything properly. If they do different activities, The Hills Youth and Family Services center believes it can hurt their mental health. The good news is that a club can provide an essential support structure for children. Because they know they will spend an hour or two in the same environment, they are bound to be much happier. One thing all parents struggle with is safety. Kids like to be independent, even if they aren’t as mature as they like to imagine. Getting the right balance is key because you don’t want to be overprotective and keep them cooped up, which can lead to health problems. But, you don’t want to let them roam the streets unsupervised. An extracurricular club is a compromise because it provides a sense of freedom without sacrificing safety. They can play, connect with others, and get out of the house while a teacher oversees them from afar. It might be hard to quantify, but there appears to be a shift in social skills. As a result of the technological revolution, modern day children don’t seem to be able to interact in the same way. Why? It’s because they don’t get the same amount of practice that people did in the past. By attending a club, kids learn the social skills which become important in the future. Even if they don’t like it, attendance is crucial because these skills help grown ups navigate the real world. Kids need extracurricular activities for a variety of reasons. Therefore, it is important to push the value of a club on them from an early age. If your kid is starting the last-year of high school, you need to sit down with them and have an eye-opening conversation about what it’s like to go to college. They will make their own mistakes and learn their own lessons, but you’ll worry a lot less if you warn them about the common dangers and risks of the student’s life. After all, the college years mark the beginning of their independence. Picture your kids diving into unknown and deep waters. They need your help to come on the other side safely. First of all, after a life of the luxury of high school, it’s essential that you warn your child that the college life will need to be a little more frugal than what they’re used to. For a start, most students need to move out and find an accommodation on their campus, which means that they will need to pay for the room or the flat. Considering the cost of food, studies, and everyday essentials, it’s no wonder that most students struggle with making both ends meet at the end of the month. But https://consolidatestudent.loan offers a straightforward and applicable alternative to the student debt. By consolidating all student loans, you can reduce and manage payments towards a debt-free future. There is no denying it: Going to college might seem at first like a burst of freedom. Nobody is watching over your kid’s shoulder to make sure that they’ve done their homework, or that they’re getting their beauty sleep. Your role as a parent is to help them to get organized and plan for their college work efficiently. Some kids might even enjoy planning their everyday deadlines from essays to bills using a project management tool online. Others prefer a manual to-do list or a bullet-point journal. Whatever works for them will do the trick! There’s another danger to the new wave of freedom, and it’s developing unhealthy habits. https://www.theodysseyonline.com lists up to 8 bad habits that people develop when they go to college, from not getting enough sleep to snacking all day. Unfortunately, bad habits tend to be difficult to get rid of, and that’s why most of these continue into adulthood. The result? An army of tired, over-caffeinated, and procrastinating young adults. Make it clear that your kid has their health in their own hands. Between managing expenses and wanting to build up a professional résumé, student jobs can be very rewarding for those who are ready to work hard. There are plenty of accessible jobs that students can take as part-time roles during their studies. From becoming a library monitor – which is the guarantee for them to be able to get their homework done – to assisting teacher, there are options that can act as a catalyst for their knowledge. Naturally, becoming a barista is also an option if they prefer to serve coffee! Warning your kid about the things to come when they go to college is great to help both of you to get ready. While they are warned about the potential risk of their future life, you can be assured that you’re doing all you can to keep them safe. Remember to let go, though. It’s not the time for them to claim their independence! Even as your kids get older, they never stop being your little treasures. As a loving parent, you’ll want to provide as much as assistance as you physically can. That desire will still be strong when they approach the end of their undergraduate degree too. Seeing your child collect their degree will feel you with immense pride, and it will also highlight that they are now an adult. Nevertheless, your help can still be extremely useful as they prepare to take the next steps in their life. Here are just three ways you can continue to show your support. Upon graduation, your son or daughter will be faced with a variety of potential pathways. While you should never force them into any decision, offering support throughout the selection process is key. After years of studying, many will want to enter the working world, which is fine. Despite being an adult, they still have youth on their side. Continuing their academic progress is still an option. The John Monash Scholars 2017 show how it’s possible to complete a postgraduate degree while getting to see new parts of the world. If it encourages them to live their life while boosting long-term prospects, that has to be a positive step. No two people are the same, and it’s up to your son or daughter to find what works for them. By providing them with the necessary support throughout the research stages, they’ll be set for far better decisions. The past three years have been a great opportunity for your child to start making the transition to adulthood. They’ve gained a greater sense of independence, and have started taking greater responsibility in their lives. However, those developments have been somewhat limited. This might be their first chance to rent or even purchase a property of their own. Not a student flat, but a home that requires care and attention. These DIY skills should go a long way to helping your son or daughter create that homely environment on a budget. This is also the time for them to ditch the nutritionally substandard student meals for real cooking too. Money management will be another key skill, especially if they need to pay back student loans and other debts. Your child probably has a better understanding of the tech systems than you. But you can certainly have a positive impact on money-saving strategies. This is one of the proudest stages of parenthood, so don’t be afraid to show it. Not only does it strengthen your bond, but it also breeds confidence for your child too. As exciting as this time in their life is, it can be daunting. After all, even graduates face tougher employment challenges than ever before. Giving them that confidence to chase their dream job or advanced degree by standing out from the crowd could make all the difference. Missing out on those opportunities due to self-doubt would be a huge shame indeed. You know that your son or daughter is capable of greatness. If your support can help them unlock that potential, you’d be a fool not to make the most of it. As a former teacher, I always found it difficult and sad for children on the first day of school who didn’t have the needed supplies. Usually, I would supplement what they didn’t have and try and ration what was brought. I began budgeting for those who didn’t have what they need as I am sure most teachers do. Here is a list of ways parents can get help with those expensive supplies! I too was a single mother at one time and I know how hard it is making sure your child gets everything on that list. Don’t be ashamed to ask, your children only deserve the best!!! Operation #dontforget Don’t forget a child in the hot car!! The summer months are sneaking up on us, it is already hot here in South Texas. I always stress this time of the year! As a Mimi of three grandsons, I can’t help but worry about making sure the kids are not left in a car. I was coming home from the grocery store the other day and it dawned on me, I can’t forget my grandson in the back seat. This isn’t a usual thing for me to have him with me while grocery shopping so I began to think, how can I make sure to not forget when he or any of my grandbabies are with me…. So I came up with operation #dontforget, it is a simple concept. You add a clothespin to your AC vent I put my grandson’s names on them. When they are with you move it to your keys or even your door handle. This way before you get out of the car you are reminded to #dontforget. This could even work with pets! I hate to see one left in a hot car. I have come up with a printable list to place in your car until it becomes a habit. I had to make my clothespins cute and of course get your kids or grandkids to help you. They will also remind you to move the pen! I made extra for my children to give out to anyone that may be picking up or keeping my grandchildren. Please share how you #dontforget your loved one. Email me at reviewsbykathy@gmail.com if you would like to place an order for one, with your child’s name and color. We will do them for $2.00 shipped anywhere in the US. Check out this video, here is how I use mine! 8 Gift Ideas for Father’s Day – Handmade Free Printable Memories!! I know when my kids were little, the homemade gifts are what my husband wanted and are still around, and looked at from time to time. We are now grandparents and my husband still says I want a picture or I want to spend time with them. The older we get the more we realize memories are all we really want in life! The other gifts, even the expensive ones we tend to forget but those homemade with love gifts, we still have! I have found some cute ideas that the kids can participate in for this father’s day and even a few printable ones! I have 3 grandsons under the age of 3 and water is a big concern for our family. At our home, we have a huge pond in the backyard and at our condo, we have a pool. We realize the importance of our grandsons learning to swim asap! We taught our 3-year-old grandson using the Swimways Baby Spring Float Sun Canopy baby float and are now working on the 20-month-old, Tanner. I love the fit and comfort of these floats and the assurance of the cover to keep him from getting those sun rays! The canopy has UPF 50+ sun protection with easy to remove or add, on and off snaps. The sides of the Swimways have a mesh material so that you are able to see the child in the Swimways the entire time they are in it. This Swimways Baby Spring Float is for ages 9 months to 24 months, so you are able to use it throughout the swimming season. Tanner loved that he was able to splash around and kick with no fear of tipping over. He is a big baby and this wide seating fits him perfectly. As a middle school teacher, on a couple of occasions, I was made aware of middle school students drowning. This devastated the whole community, as you can imagine. I always think back to my family and how important water safety is! Mark your calendars for this important date!! Or start sooner but please make sure your children learn water safety! National Learn to Swim Day will be held on May 20, 2017. If you are looking for an amazing safe water float check them out at Target! They carry this, swim step 1, and swim step 2 & 3 if needed. They can help your little one become and independent swimmer.